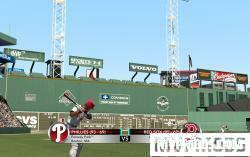 Copy stadium_php.iff to your C:\Program Files\2K Sports\MLB 2K10 folder (backup your original file first). Many ads are reused in the wrong places. I have done my best to make sure the majority of the ads are in the correct positions. 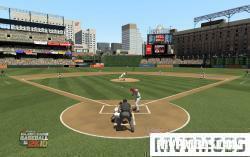 Copy stadium_det.iff to your C:\Program Files\2K Sports\MLB 2K10 folder (backup your original file first). I could not change the name of the fountain so we are stuck with "Comerica Park Fountain". 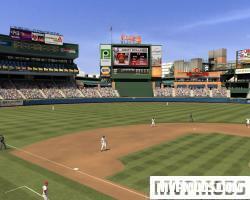 This is just an initial version of Turner Field. I still need to add the "This is Braves Country" along the right field wall. In the meantime, enjoy this initial release. 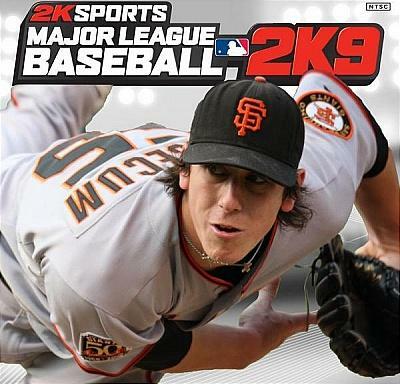 Copy stadium_was.iff to your C:\Program Files\2K Sports\MLB 2K10 folder (backup your original file first). 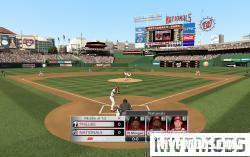 Copy stadium_flm.iff to your C:\Program Files\2K Sports\MLB 2K10 folder (backup your original file first). either the one in the consol energy folder or the one without and replace the one in the main 2k10 folder. There are two versions included (one with dormant vines and the other with full grown ivy). 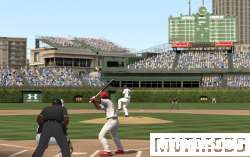 Extract the stadium_chc.iff file to your main MLB 2k10 directory and overwrite the current file. Please back up your original file first. 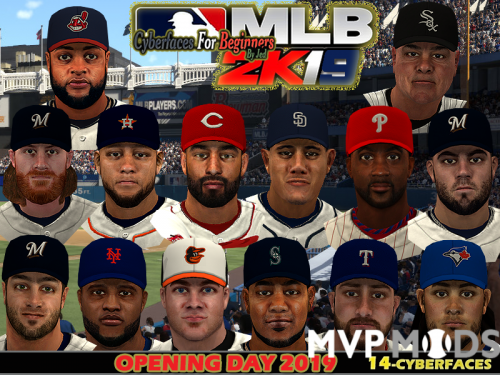 Copy stadium_cor.iff to your C:\Program Files\2K Sports\MLB 2K10 folder (backup your original file first). Here is my First version of Safeco Field. Many updates to come. I have changed ads accordingly where i can. 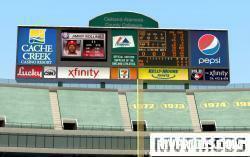 The 2 ads in center field Stub Hub and Cloverdale meats will be changed when opening season starts. 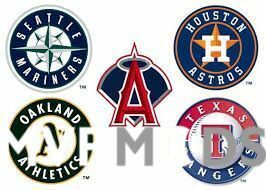 Once i see what is at safeco i will update. Safeco does have Stub Hub and cloverdale signs of a different variety along the first base side,so i thought i would just throw those in.Cloverdale meat might get changed to a LCD screen so it represents the right field one. Not sure yet. The FSNinsder, Boeing and Key bank will be updated as well. Im going to work on the wall texture better to see if i can get a nice blend. 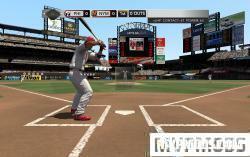 Homeplate ads are random as well and will be updated when the season starts, but better than the 2k Ads. Also plan on still doing dugouts, Right Field Tarp and see what else i can do. Also if i can find the spot above the left LCD Screen on the center field wall i will try to put an Alaskan Airlines ad there. Just wanted to get something out there hence v1.0. 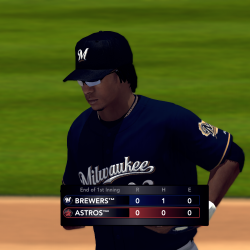 As with any mod BACKUP your original stadium file. Hope you enjoy and i look forward to getting something better quality out there. 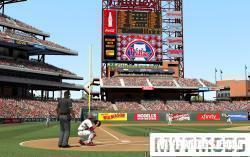 Citizens Bank Park ads completely redone for MLB 2K10. This is only version 1.0. Expect a new update coming once the season actually starts. The ads will then reflect this season. However, this is much better for now. So, enjoy! 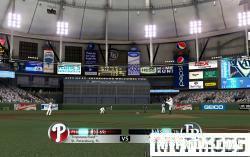 Simply replace your stadium_php.iff file in your MLB 2K10 directory. 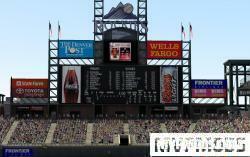 Here is version 1.0 of coors field.Changed ads where i could. Will make some changes. 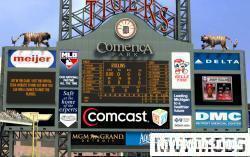 Fix remax sign, coke bottle, update homeplate and any other ads when season starts. 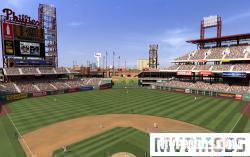 Updated Citizens Bank Park for 2010. All of the ads have been updated and are nearly 100% (minus placement). Obviously, whenever I do Citizens Bank Park I am going to do it to the best of my ability and all of the advertisements are extremely high quality. 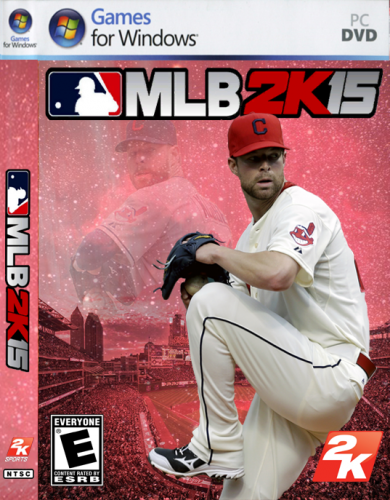 Copy stadium_bor.iff to your C:\Program Files\2K Sports\MLB 2K10 folder (backup your original file first). 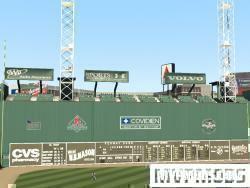 Yes, I removed the dents from the Green Monster. Yes, I know they are actually there in real life. However, since they are not visible unless you're standing right at the base of the Monster, I removed them because they look horrible. Here it is. Working version. 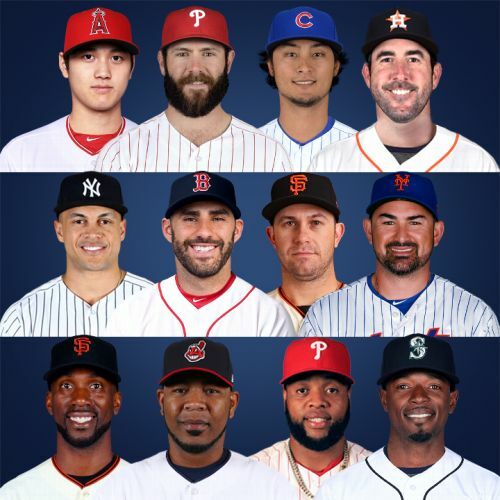 Changed alot from my preview after going through some videos on MLB.com. I will put out an update most likely after season starts. Hope yall like. i think this is the best of the 3 stadiums i have done this year. Will be alot better when season starts. 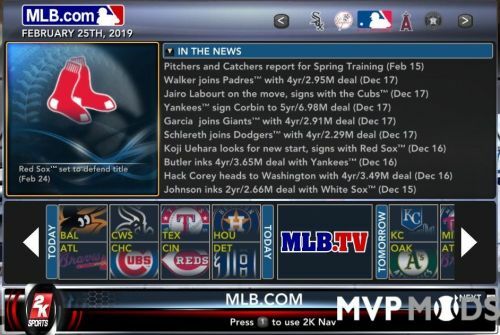 Copy stadium_tbr.iff to your C:\Program Files\2K Sports\MLB 2K10 folder (backup your original file first). 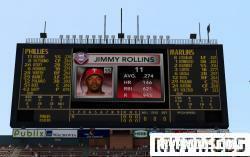 MarkB's 2010 Bright House Field mod for MLB 2K10. Bright House Field, Clearwater, Florida, home of the Clearwater Threshers and Spring Training home of the Philadelphia Phillies. Also added the Phillies logo to the jumbotron in left field to replace the "Road To The Show" picture, added a jumbotron image, added Bright House Field banners and the World Champions banner, revamped and updated the left field and right field food stalls and concessions stands - Bullpen Grille and Short's Snacks - and added the highway sign for Bright House Field. I've done my best to get as large a variance of ads as possible, and all of the ads shown in the mod are in the stadium today. 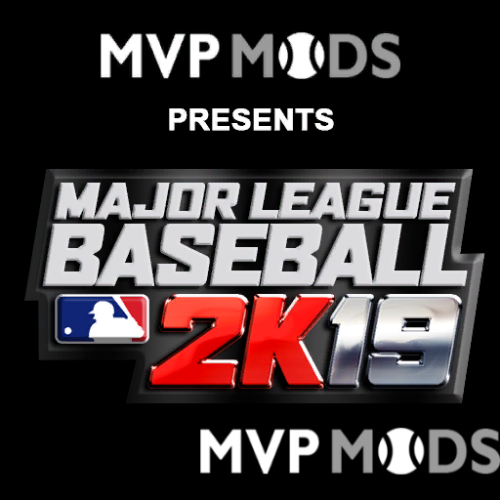 I've also tried to get them as close to their actual location as possible - for example, the Budweiser ad being in right field, the Maintenx ad facing home plate from the outfield - but due to the way 2K has coded the stadiums, as we all know, there are some repeating ads. Until a modelling tool is created, we're stuck with it, I'm afraid. 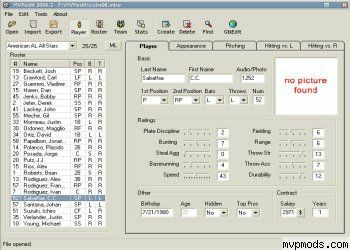 Backup your existing stadium_st01.iff file, then copy the included stadium_st01.iff file into the installation directory for your copy of MLB 2K10 and overwrite the original. 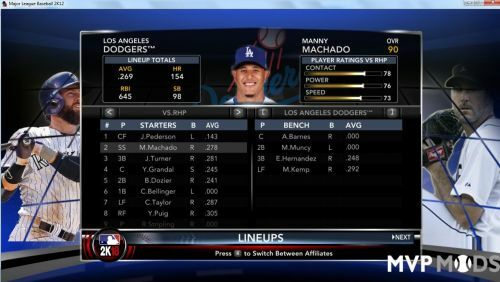 Copy stadium_bao.iff to your C:\Program Files\2K Sports\MLB 2K10 folder (backup your original file first). 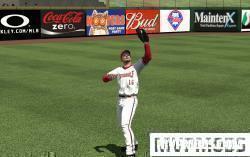 Copy stadium_oaa.iff to your C:\Program Files\2K Sports\MLB 2K10 folder (backup your original file first). 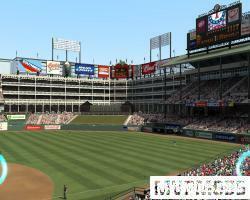 Copy stadium_oaa.sem to your C:\Program Files\2K Sports\MLB 2K10 folder (backup your original file first). This is just an intial version of Rangers Ballpark in Arlington. Most of the ads will be updated after the season starts and we get a good look at the stadium this year. Enjoy! 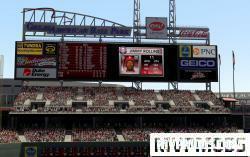 Here is my first version of Great American Ball Park. I will do my best to update it next week after the season starts. This is my first version of Yankee Stadium. 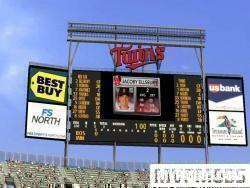 All ads appeared sometime during the 2009 season (or very similar versions). Most are in the correct places but due to 2K reusing ads and parts of ads, they aren't all in the exact positions. If I have time I will update this after the 2010 season starts. 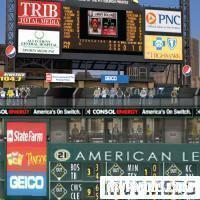 UPDATE: Ads are now updated for opening day 2010. 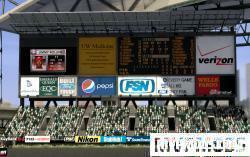 I have also removed the ugly 2k Sports out of town scoreboard. Updated 4-22. 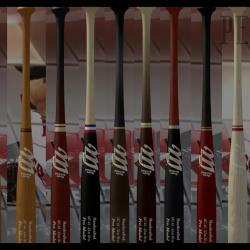 Replaced almost every ad from version 1 with ones of better quality, updated homeplate ads so the are all different. 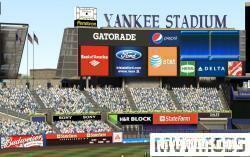 Copy stadium_nym.sem to your C:\Program Files\2K Sports\MLB 2K10 folder (backup your original file first).